The easiest way to get into the merriest of moods? Do some holiday shopping in NYC. Here are the best places near Hotel 48LEX New York where you can cross everybody off your holiday shopping list. Don’t miss the holidays in Bryant Park, which is transformed into a winter wonderland. The Bryant Park Winter Village is more than 150 holiday shops. It also features a pop-up food hall and boasts the only free ice skating in the city from October 28 – January 2. During the holiday season, Grand Central Terminal is more than the city’s beautiful railway station. In addition to its year-round shops, the seasonal Grand Central Holiday Fair is one of the best Christmas markets in the city. Check it out from November 13 – December 24. If there’s a reason to head downtown this holiday season, the Union Square Holiday Market is it. More than 150 vendors offer an eclectic selection of handcrafted gifts, plus world-class food vendors like Momofuku Milk Bar and Wafels & Dinges to warm up even the coldest of winter days with delicious treats from November 16 – December 24. The annual Columbus Circle Holiday Market is just another reason to visit this luxury shopping mall. After you explore the major fashion, lifestyle, and wellness brands, don’t miss handmade items from local artisans and food from New York vendors like Hill Country Barbecue and La Sonrisa Empanadas. You’ll work up an appetite exploring the 100 booths on display from November 28 – December 24. The city’s tried and true department stores and mega-brand flagships can be found on famous Fifth Avenue. 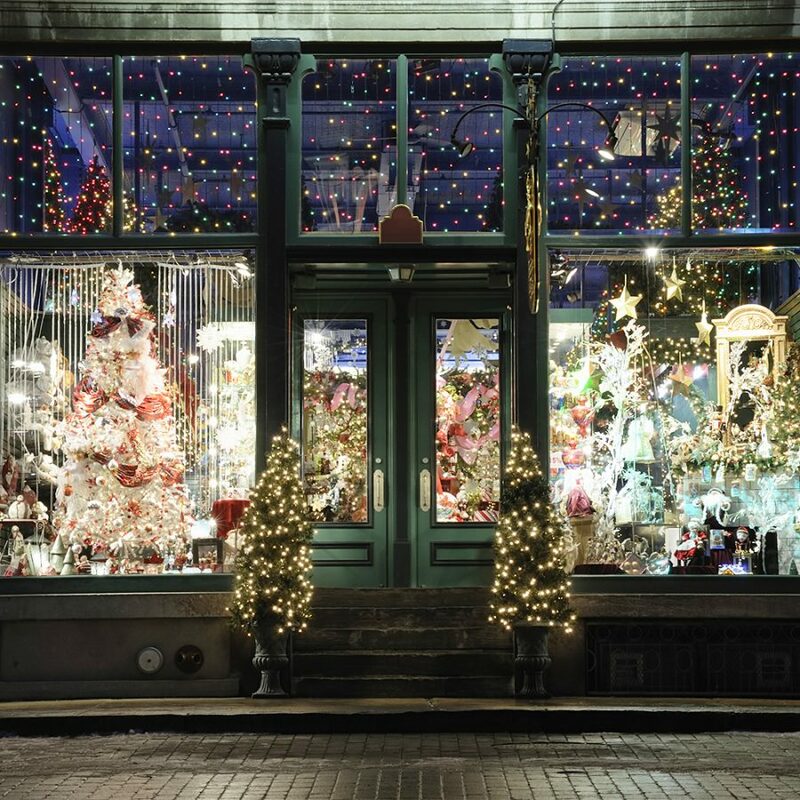 Even if you’re only window shopping, head here to see the stunning Christmas window displays, especially at department stores like Saks Fifth Avenue. Ready to book your NYC shopping trip? The best rates can always be found on our website.